Backlit LCD display with 5 digits 25mm high. Membrane waterproof keypad with 7 keys. Stainless steel plate, 280x330mm size. Packaging: 510x400x200mm size - approximate weight of 7,3kg. Master Pack: 2 x (510x400x200)mm size - 2 x approximate weight of 7,3kg. (*) CE-M divisions are obtainable only with the relative options. HR divisions programmable from set-up (not available for approved versions). CT5 ISO 17025 (ACCREDIA/DAKKS) calibration certificate for precision and industrial scales, crane scales with capacity greater than 60 kg and equal or less than 300 kg. 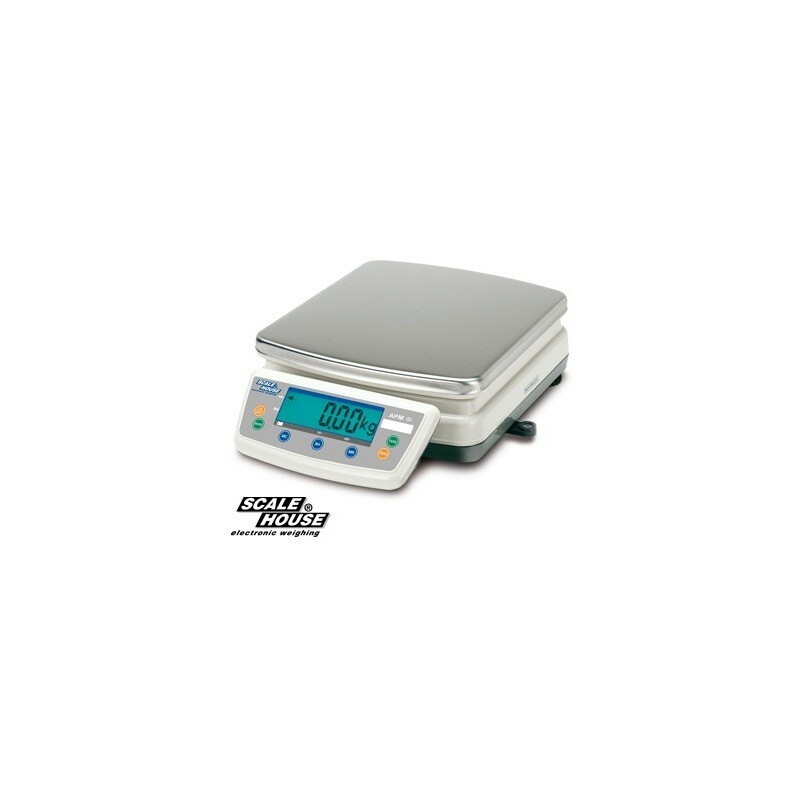 ECEM1B CE-M 3000e approval for class III or IIII scales, with capacity from 31 to 1.500 kg. PMCL Column for APM series scales: it brings the indicator base height to 445 mm above the scale surface. 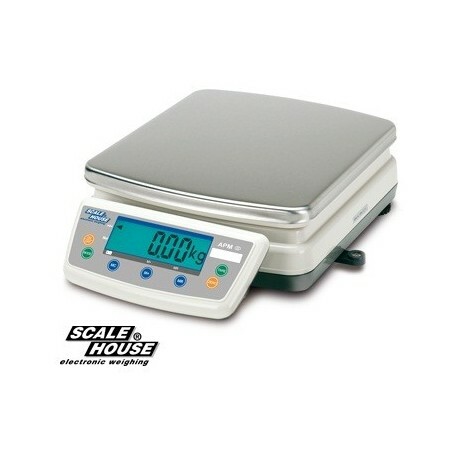 The overall height of the scale, including the indicator, becomes 630 mm. Ecran LCD Backlit cu 5 cifre 25mm înalt. Membrana tastatura impermeabila cu 7 taste. Placă de oțel inoxidabil, dimensiune 280x330mm. Built-in baterie reîncărcabilă (despre viața bateriei 300h) și 230 Vac adaptorul de alimentare. 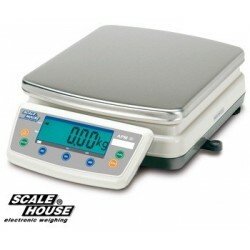 Ambalaj: dimensiunea 510x400x200mm - greutate aproximativă de 7,3kg. Maestrul pachet: 2 x (510x400x200) mm dimensiune - 2 x greutate aproximativă de 7,3kg.